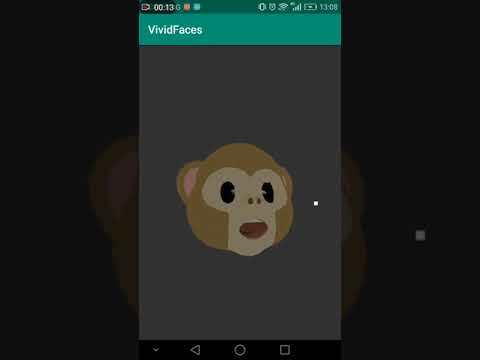 Q: What is the project AnimojiOnAndroid(VividFaces Android version) for? 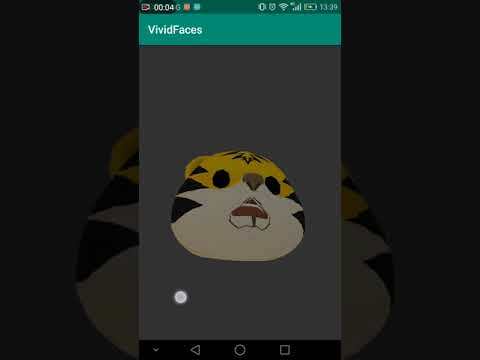 A: Android version of iOS’s animoji. Q: why is this project being made? A: The format of Collada had been developed by khronos community for more than a decade. It is widely supported by 3D composing software and 3D engines. But the weakness of khronos community on development ability and control capability gives Collada other names of incompatibility and disability. I work on Collada many years before but now when I have to do some work on Collada format, I found I have to do hard coding from low level XML parsing. Re-inventing wheels on such a task did take time. I hope every 3D developers abandon Collada format right now and move to the next generation of 3D format. Q: What is the benefit of the project VividFaces Android? A: The apple’s animoji 3D models can be using and morphing animation is implemented on android phones. The cache mechanism is created which 3D model was cached as OPENGL ES data after first loading so as to shorten the loading process of minutes to seconds. Q: What is the current status of project? A: Collada models showing, morphing animation done. First upload of the demo workspace have been commited. There are known bugs and I will fix them after several weeks later. You can download the apk directly and run it on your android phone (Safe. Only permission of R/W Storage is needed for saving cached binary of Collada). Note the effect of 3D models is quite rough and having wrong vertices. It will be fixed and be polished in the next upload.